Provide comfort for the family of Grayson Turner with a meaningful gesture of sympathy. Our little angel, Grayson Wayne Turner, was unexpectedly called to the Lord on December 19, 2018. Grayson is survived by his loving parents, Russell and Jessica Turner; sisters: Lexi and Maci Turner; grandmother, Teresa Morley; grandfather, Robert Christie; grandparents, Beth and Tim Bright; grandfather, Bruce Turner and grandmother, Corina Christie; great grandparents, Vance and Sue Jones; great grandparents, Charles and Cathy Bain; great grandmother, Pat Turner; and great grandmother, Marsha Alfrey. Grayson will be greeted in Heaven by his great-great grandfathers: Dean Christie, Bruce Turner and Gilbert Alfrey; cousin, Aven Ritter; and uncle, Scotty Turner. Family and friends may come and show their love and support at the memorial gathering from 5-7 p.m on Friday, December 28, 2018 at Jones Family Mortuary, Mooresville. 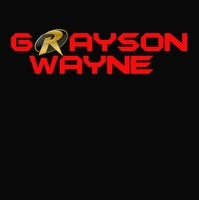 To send flowers in memory of Grayson Wayne Turner, please visit our Heartfelt Sympathies Store. We encourage you to share your most beloved memories of Grayson here, so that the family and other loved ones can always see it. You can upload cherished photographs, or share your favorite stories, and can even comment on those shared by others. Provide comfort for the family of Grayson Wayne Turner by sending flowers.